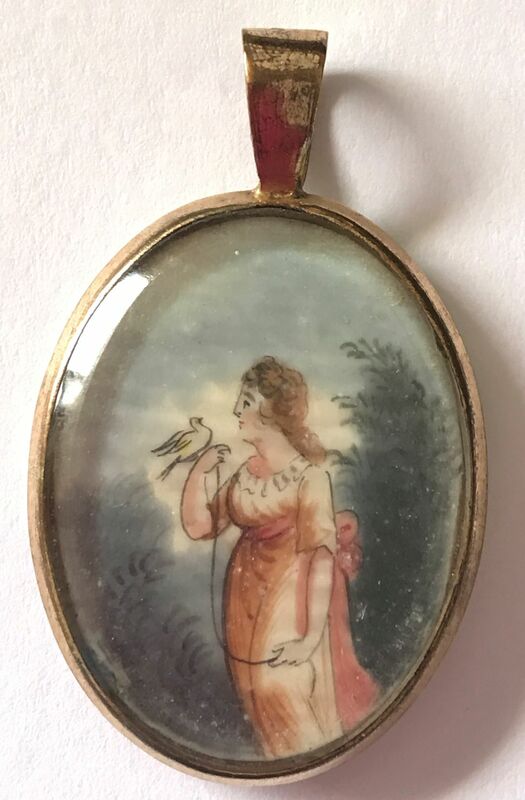 This delightful miniature pendant shows a colourfully dressed lady standing in a landscape and holding a little bird on a string. 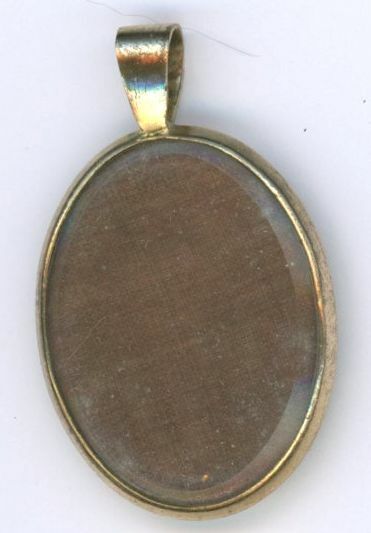 The image is symbolic of separation that is nonetheless still united by love. 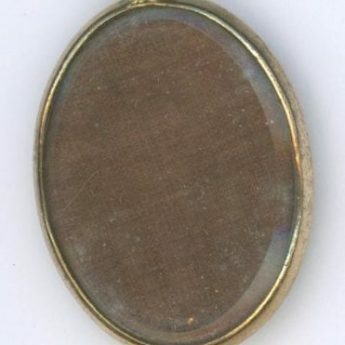 The miniature is housed in a gilt metal setting with bevelled glass to both sides, the reverse showing brown silk.